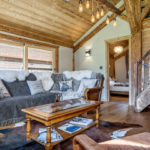 Alpine Chalet 1819 is a beautiful 200 year old Savoyard farmhouse, which has been sympathetically restored and refurbished by local craftsmen, to create a luxury chalet which offers both fully catered & self-catering accommodation for 6 – 9 guests. 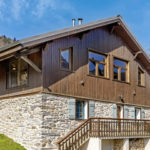 4 Day Fully catered Nordic Walking Retreats – to include Champagne reception on the first night, Homemade meals, breakfast, a packed lunch & dinner. 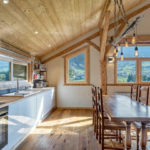 Drinks including beer and wine served with dinner each evening. 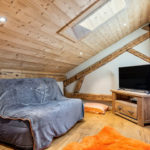 7 Day self-catering holidays – Alpine Chalet and 1819 is situated in Vacheresse, in the beautiful Val:ee d’Abondance, equidistant between Chatel & Lac Leman (Lake Geneva). 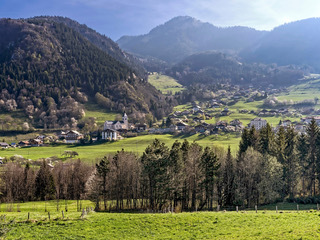 It is located in a traditional French hamlet with working farms, & in the warmer months numerous herds of Abondance cows, which are only found in this valley (look out for their “spectacles”!). 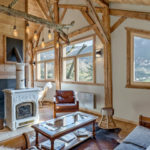 The house is in an extremely peaceful location, surrounded by open fields, & with rolling mountain views. 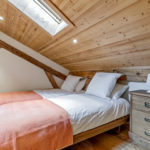 We are approximately 25km from the world famous spa town of Evian-les Bains, just over an hours drive to Montreux, & 30 minutes drive to the numerous beaches of Lac Leman in the summer months. 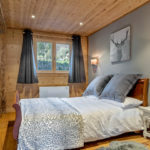 The chalet is just over one hour’s transfer from Geneva airport, with the nearest slopes a mere 10 minutes drive, and Chatel, one of the main Portes du Soleil resorts, only 20 minutes away, sitting on the Swiss border. 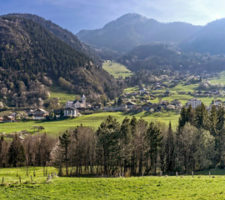 There are a number of ski stations within a very short drive including: Bernex (10 mins), Abondance (10 mins), & La Chappelle d’Abondance (15 mins). 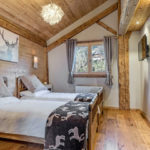 The Portes du Soleil ski domain offers over 650km of pistes in both France & Switzerland, with exceptional opportunities for skiers of all abilities. In the summer, many of the ski areas become mountain biking and Nordic Walking locations, catering for walkers & bikers of all levels. NB. Guided walks would need to be booked in advance as we work with an International Mountain Guide. An additional charge would apply to cover cost.